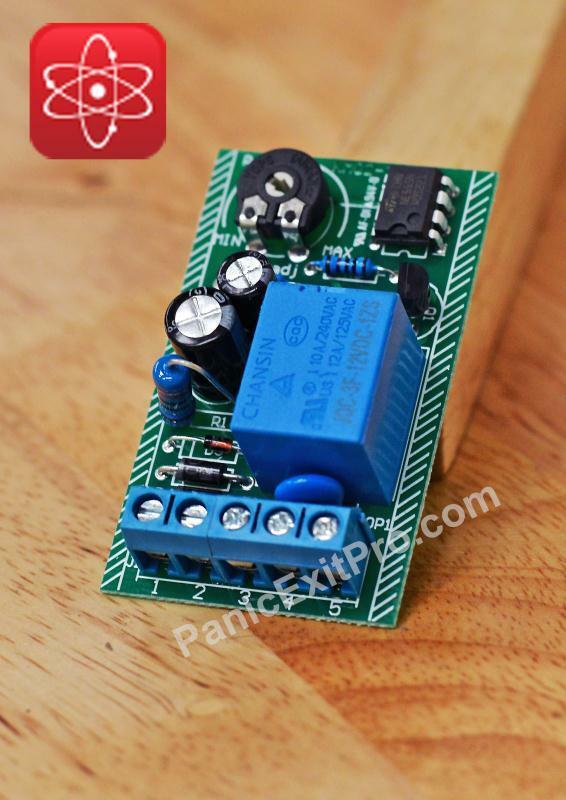 The Panic Exit Pro Simple Locking Control Board is the simplest way of adding a locking device to any door. With it's built in timed relay, this control board will be a nucleus of your access control system. The timed relay has a maximum time delay of 4 seconds which is plenty of time to disengage the lock and open the door. Both the entry device and exiting device will wire into the trigger terminals on the control board, this makes for easy and simple wiring. This board requires 12 VDC to operate.